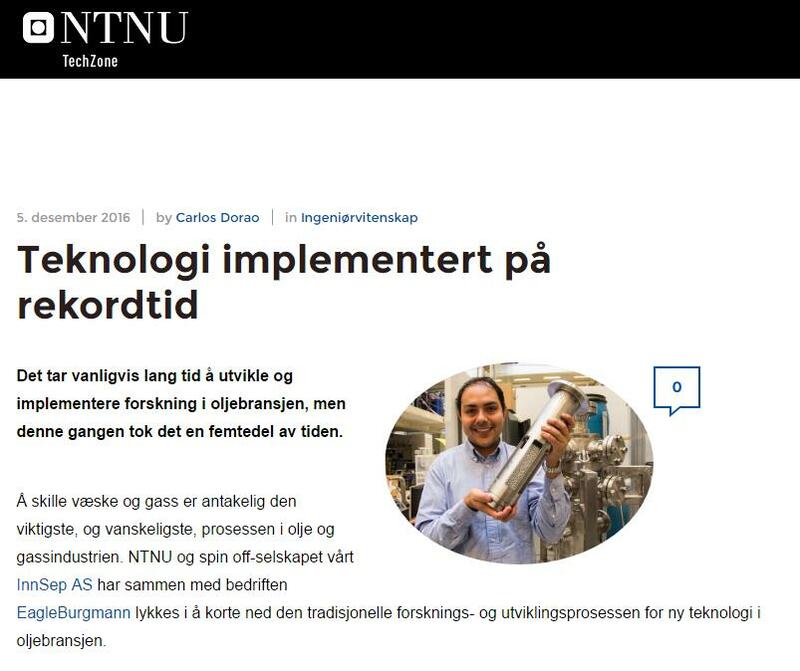 The fast-track development of the Lynx Scrubber for Dry Gas Seal protection was profiled in the Tech Zone blog from NTNU by professor Carlos Dorao. The innovation project managed to compress the steps through the Technology Readiness Levels used on the Norwegian Continental Shelf from 10-15 years to less than 1 year. This may be a new record in Norwegian O&G industry, demonstrating how it is possible to rapidly solve operational problems, without circumventing any regulations. The effect of this R&D strategy allows the Lynx Scrubber to generate operation hours that can shorten the steps towards the highest TRL level in other application areas. For main gas/liquid separation, both before and after compressors, the equipment requires successful integration and operation over a period of time in the actual conditions. This strategy performed better than planned and was only possible through the R&D excellence of NTNU, InnSep and EagleBurgmann, combined with EagleBurgmann’s leading expertise in the O&G industry, says CEO Sondre Jacobsen. Based on this success, we have allready planned follow-up projects, including the upcoming DEMO2000 project for large-scale gas/liquid scrubbing.